Ground pork mixed with chorizo seasoning. Place pork burgers in refrigerator to thaw for 2-3 hours before cooking. Broil: Place broiling rack in upper 1/3 of oven. Preheat oven to broil on high setting. Place pork burger on lightly oiled broiling pan and broil for about 3-4 minutes per side or until internal temperatures reaches 160°F. Barbecue: Place pork burger on hot, oiled grill and grill for 3-4 minutes per side or until internal temperature reaches 160°F. Skillet: Preheat lightly oiled skillet on medium high setting. 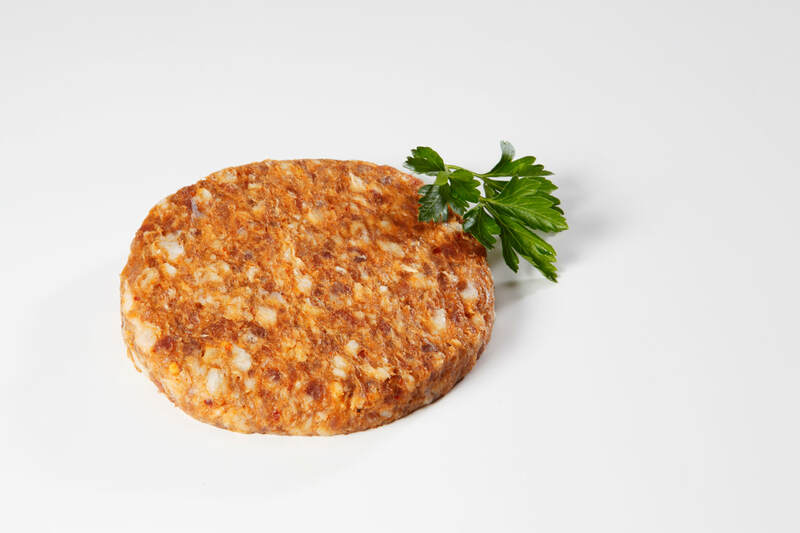 Place pork burger in skillet and cook for 3-4 minutes per side or until internal temperature reaches 160°F. ​Follow the instructions above and increase cooking time to 5-6 minutes per side or until internal temperature reaches 160°F.